One of the things we like most at Stonehenge is the relationships we build with our clients that often last years. Decades. Sometimes, generations. If you’re looking for a company that’s interested in your long term, please give us a call. 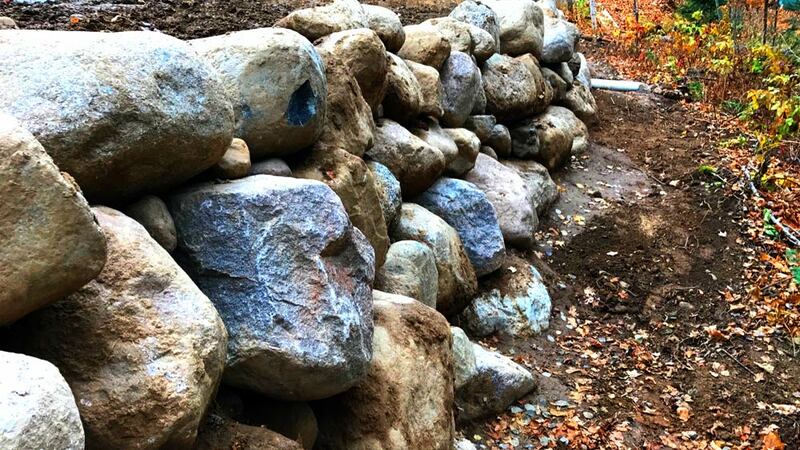 This Giant Boulder Wall project we completed in Fall of last year up in Wabeno, Wisconsin was for a client we’ve been working with since about 1997. 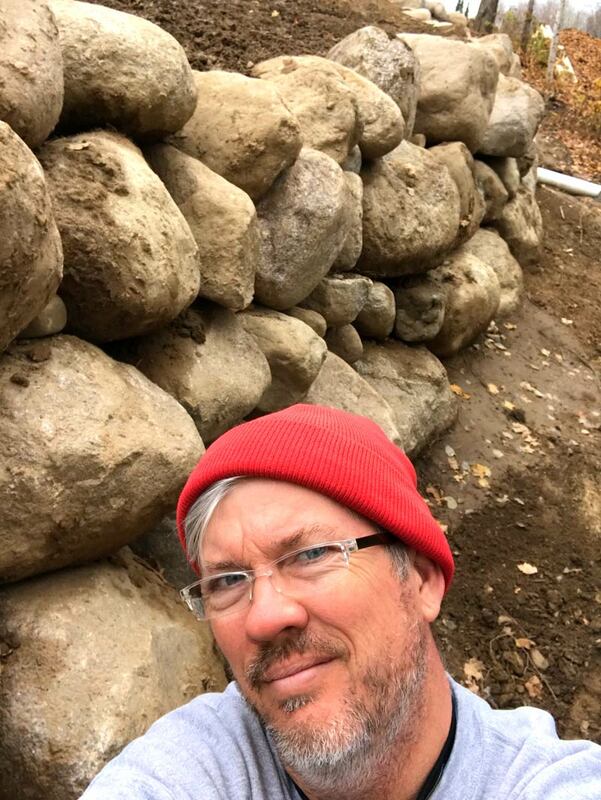 The project was straightforward enough: build a retaining wall using locally-sourced materials that will vary in height from 18″ to 7′, capable of withstanding the forces of occasional vehicle traffic, as our client moves small watercraft to and from the shore. It can be hard to get a sense from pictures for how large these boulders really were. 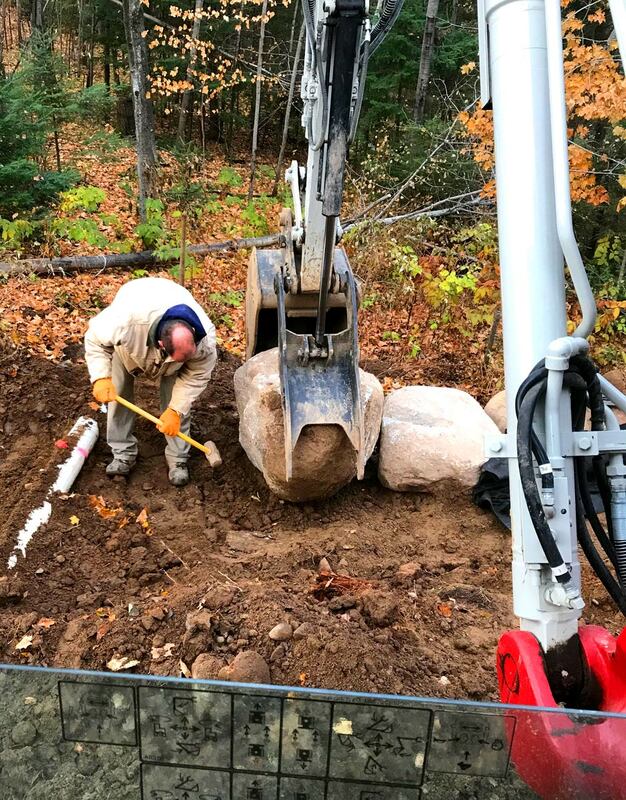 Many of the stones in the bottom course were up to 4′ in diameter, and pushed the 5,000 pound lifting capacity of our excavator to the limit. Up in the Northern reaches of Wisconsin it can get chilly in Fall; shown here is company president Jeff Pozniak sporting a rare beard to keep warm.